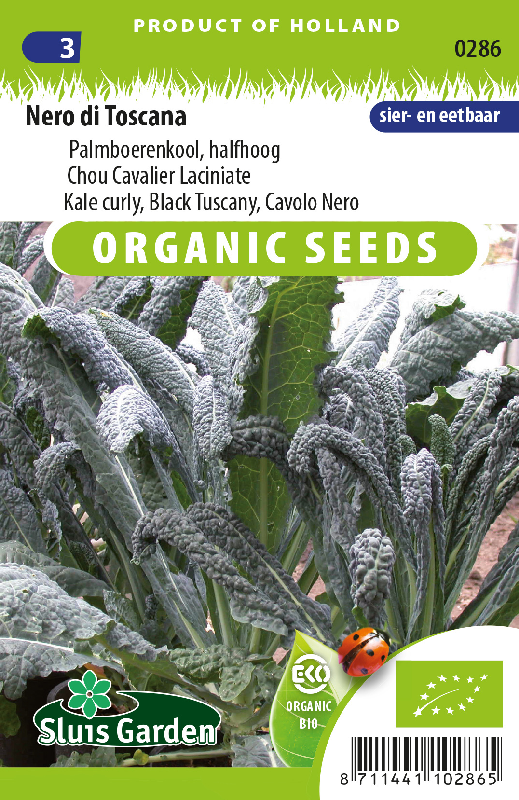 A unique Italian variety, named already in 1885 “Cavolo Nero’’ or “Tuscan Black Palm”. A wonderful ornamental kale with long, tongue-shaped, dark blue-green leaves. As soon as the plants are fully grown they have a palm-like shape. Good in ornamental gardens, as well as in pots or containers. 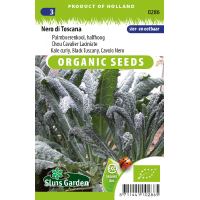 Sow in a seedbed or directly in soil blocks or pots. Keep soil moist. Transplant around June/July in well worked and fertilized soil. Delicious in soups and stir-fried dishes.